At the end of any week, good or bad, exciting or dull, rewarding or discouraging, challenging or easy, it’s good to step back, slow down, relax, and ponder what went on. 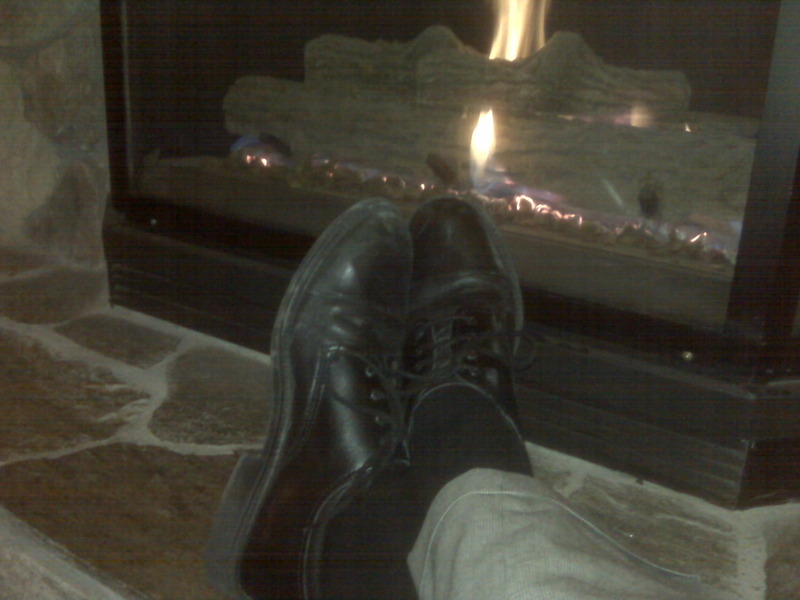 I’m doing that now…sitting by the fireplace in the hotel…trying to warm up…thinking back through the incredible events of this past week…wondering if the deeply moving experiences in all three areas of focus (business, faith, and life) could be replicated much more often than it is…and knowing that the special nature of this week, this team, this family, this opportunity, this incredible mission make replication a real challenge but a desperately hoped for event. Holidays do this for me. They slow me down. They remind me of what’s important. They allow me to show emotions and create connections that the busyness of the normal work environment may not allow. I’m thinking I need more holidays. I’m thinking every day ought to be a holiday. I’m thinking the love, joy, peace, excitement, motivation, and contentment that I feel as I look forward to Christmas and share with others during this very special season should be something I replicate as often as I can throughout the year. Thank you God for Christmas. Thank you God for your Son. Thank you God for those you have chosen to journey together at this particular time and this particular place. Thank you God for your ultimate gift and the motivation you have given us to in return give to others.